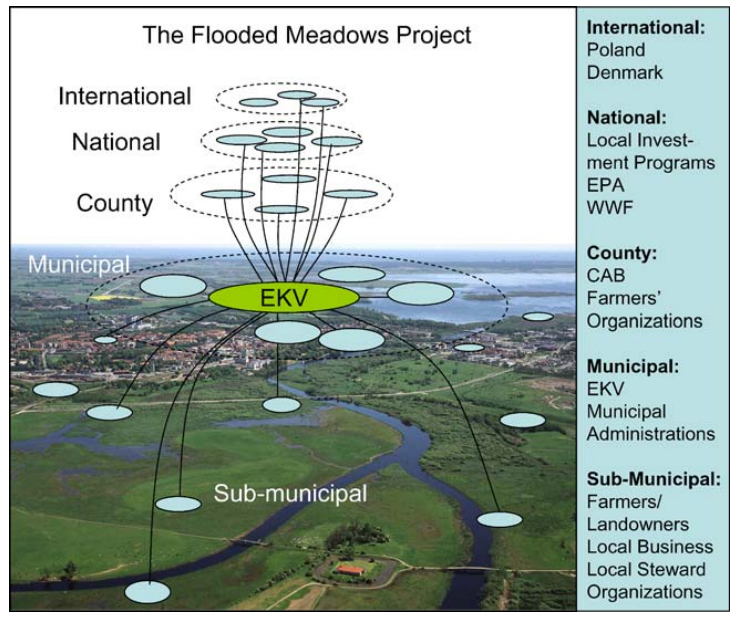 Inspired by a recent course I taught, and my colleague’s Garry Peterson’s search for visualizations of social-ecological systems, (also here), I found myself looking for illustrations of adaptive governance – that is, modes of governance that play out at multiple levels, and that are able to link institutional, with ecosystem dynamics (see Folke et al. 2005 [PDF]. Here are a few examples of how this has been illustrated in the literature. If you have other examples, please add them in the comment field! This first one is from Andersson and Ostrom (2008), and their analysis of decentralization of natural resource management, and the need to link these initiatives in a wider polycentric setting. This second one is from Berkes (2007), and explores institutional linkages at multiple levels, for a conservation project in Guyana. This illustration is from Hahn et al. (2006), and builds on several articles published about Kristianstad Vattenrike (Sweden). 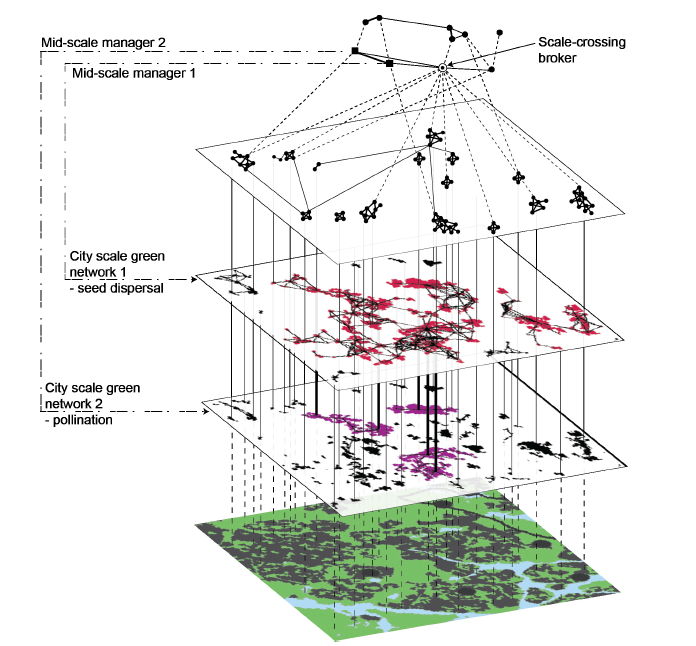 This beautiful visualization is based on a network analysis by Ernstson et al (2010) about network governance of urban ecosystems in Stockholm. 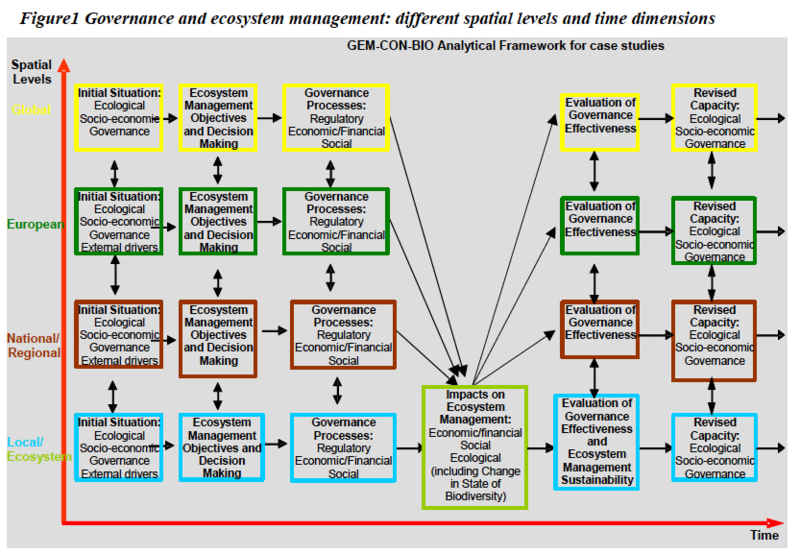 And lastly, one illustration from a report [PDF] from the finalized European project Governance and Ecosystems Management for the CONservation of BIOdiversity (GEM-CON-BIO). The figure shows an analytical framework applied for a range of case studies recently published in PNAS. Seems like Christmas comes early this year! 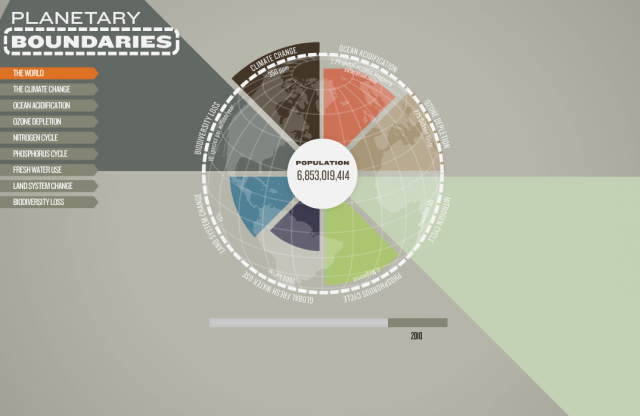 Visualizing.org just announced the results of the Visualizing Marathon 2010. One of the challenges was to visualize planetary boundaries, i.e. the concept of multiple and non-linear earth system processes presented by Johan Rockström and colleagues last year. The winner: MICA Team #3 and the project One Day Cause + Effect: A look at energy emissions and water usage over the course of one day (by Christina Beard, Christopher Clark, Chris McCampbell, Supisa Wattanasansanee). Congratulations! The other visualizations are also well worth a look – and a few clicks as many of them are interactive. 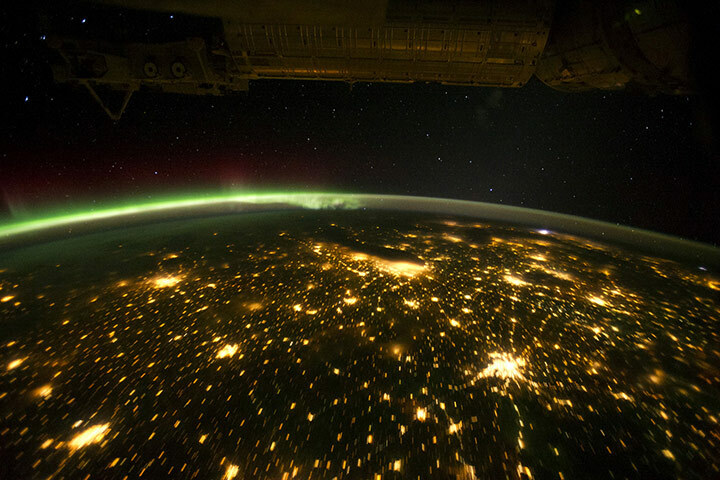 A neat visualization of CO2 emissions from the Vulcan project. They CO2 levels, which aren’t measured, from fine scale air pollution data and atmospheric models to produce high resolution hourly map of US CO2 emissions. Kevin Gurney posted a visualization of their data on YouTube, in which you can see the daily and seasonal variation in emissions. From Wikipedia, an image of global tropical cyclone tracks (8000 x 4000 pixels). The map shows the tracks of all Tropical cyclones which formed worldwide from 1985 to 2005. The points show the locations of the storms at six-hourly intervals and colors the points based on the hurricane strength.